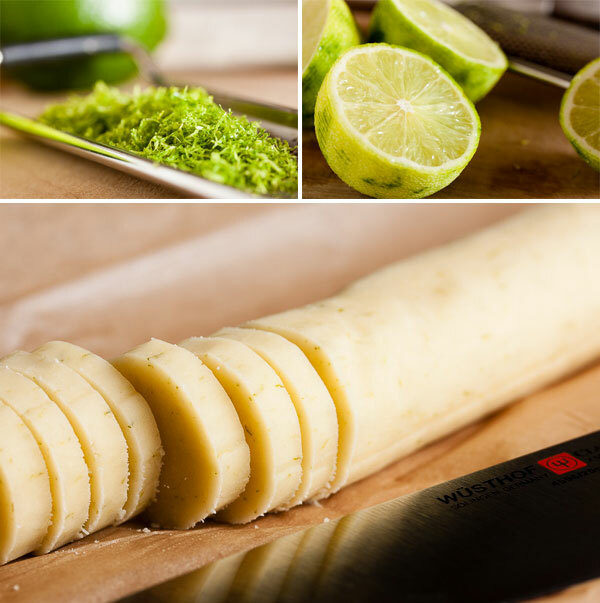 Lime Meltaways | wanna come with? It’s that time of year again – the farmer’s markets are open and there’s fresh fruit everywhere. And those are the flavours I’m craving. Sweet juicy strawberries and raspberries, and tart early-season blueberries. And one of my favourite summery flavours is citrus, especially lime. 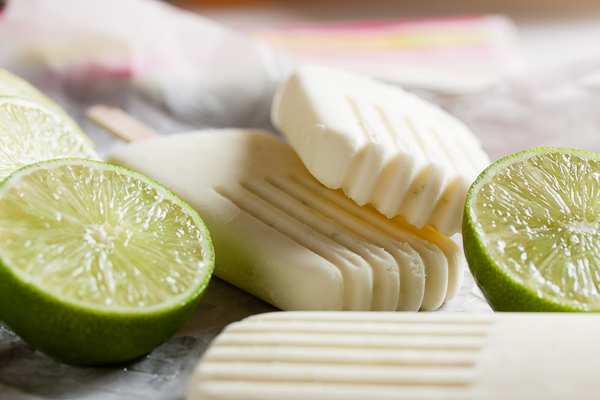 We have a long weekend coming up and I think I may need to make some lime sorbet. 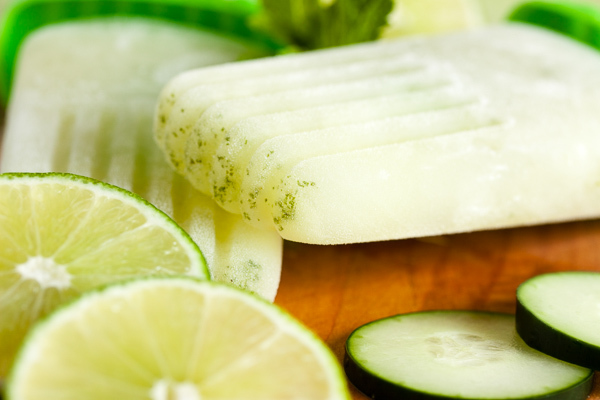 Or some lime popsicles maybe. 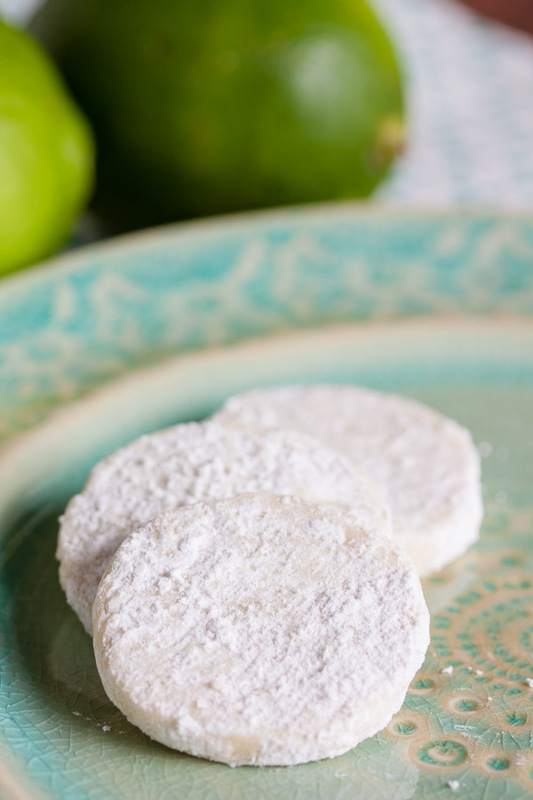 I’ve also been meaning to make some lime marshmallows… hmmm… But in the meantime, while it’s not yet too hot to bake, we obviously needed some lime cookies. Once upon a time, I was reading some story (can’t remember what) and one of the characters was drinking a Manhattan. And I realized I had no idea what a Manhattan was. So I looked it up. And then I decided I needed to try one. So I bought the ingredients. Which started a journey to try a variety of cocktails and experiment with different ingredients (and buy a bunch of cocktail recipe books, of course). I now have a ridiculously well-stocked bar, and have discovered that I really, really like gin. And gin & tonics. Not only are there different kinds of gin, but there are also so many different kinds of tonics, so “gin & tonic” can be a variety of flavours! And did you know that you can buy tonic syrup? Yes! It’s a concentrated syrup that you add to soda or sparkling water, so you can control how strong it is. Love. I’ve tried several, and my favourite (so far) is Tomr’s (don’t ask me how to pronounce that). Slightly sweet, slightly citrusy. I had some friends visiting a couple weeks ago and decided to introduce them to the joys of tonic syrups. I set up several different gins and several different tonics and let them mix and match to their hearts’ content. And of course a gin & tonic isn’t complete without lime. Well I overestimated just how many limes we’d need, so I had a few left over. I couldn’t let them go to waste. I don’t know how much limes are in other parts of the world, but I’ve seen them for as much as $1 each here! Yikes! So I needed to find a recipe to use them up. And I knew I’d seen and flagged one at some point. It took a bit of flipping through my cookbooks, but I eventually found the one I was thinking of. One of these days I’ll get my eat your books account set up so I can search for recipes more easily (it’s on my list… I have so many things on that list…). It’s a bit warm in my kitchen this weekend, and I accidentally let the butter get a bit too soft. Still workable though, so I carried on. After creaming the butter, you add the liquids. It gets a bit gloopy at this point – it’s just fat and liquid – but it eventually smooths out. After adding the flour, it takes a bit more time for it to go from crumbly to a cohesive dough, but it happens. Then it’s really good to handle. It rolls out into logs easily, and once chilled, it slices easily too. And once they go in the oven? They smell amazing. My whole kitchen smelled like lime (that’s a good thing). I’ve gotten a lot better at rolling cookie dough logs. Check out the orange cookies I made over a year ago, and compare to these. Big difference, yes? They’re not perfectly round, but they’re so much smoother. I finally discovered the trick! There’s a good photo set showing how to do it here. I’ve learned to keep a ruler in the kitchen at all times – it’s handy as a straight edge for rolling dough logs (as shown), and also for measuring out diameters of rolls and as a guide for cutting. I use mine all the time and it just lives in my miscellaneous kitchen tools drawer. 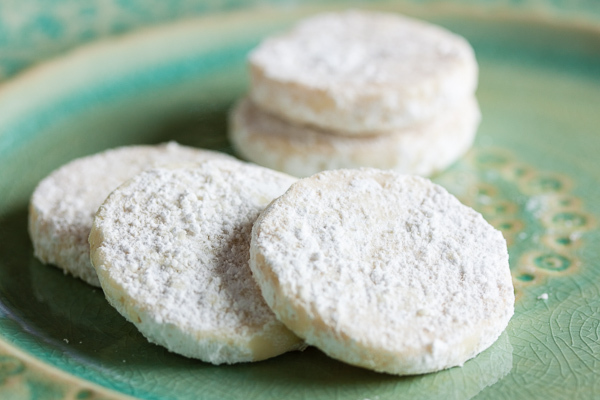 The name “meltaway” is well-earned – this cookie is soft and tender and practically melts in your mouth. 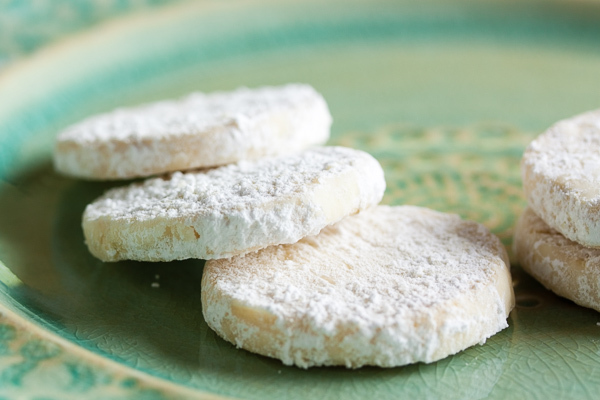 And with only 1/3 cup sugar in the dough, this isn’t a particularly sweet cookie, so don’t skip tossing them in the confectioners’ sugar at the end. They need that burst of sweetness. And the taste? Oh so citrus-y. I love this flavour. 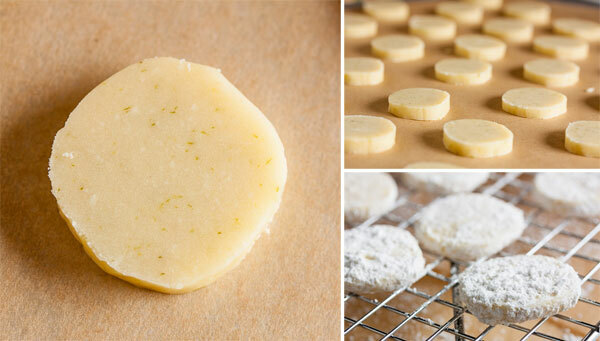 Looking back at my recipes, I can’t believe it’s been a year since the last time I made lime cookies – a definite oversight on my part. I need to bake with lime more often. Adapted from Martha Stewart's Cookies. The recipe states it makes about 3 dozen small cookies. I have no idea how many I got – I'm so sorry, but I forgot to count. Pretty sure it was more than 3 dozen though. In a medium bowl, whisk together the flour, cornstarch, and salt. Set aside. In the bowl of a stand mixer fitted with the paddle attachment, beat the butter and 1/3 cup confectioners' sugar together on medium speed until light and fluffy, about 3 or 4 minutes. Scrape down the sides of the bowl and add the zest, lime juice, and vanilla, and beat again to incorporate. Remove from the mixer and divide the dough into 2 pieces. Roll each into a log approximately 1-1/4” diameter. There's a great photo set here showing how to do this. Wrap each log in parchment paper or plastic wrap and refrigerate until firm enough to slice without losing their shape, at least one hour. Slice logs into approximately 1/4” rounds and place on cookie sheets, about 1” apart. The cookies won't spread much at all. Bake for about 13 minutes, or until cookies begin to get a light golden colour. Allow to cool for about 8-10 minutes before tossing them in the remaining confectioners' sugar (they should cool enough that they hold their shape, but still be slightly warm). Put the remaining 2/3 cup confectioners' sugar in a resealable plastic bag. While the cookies are still slightly warm, toss them in the sugar to fully coat them. Shake off any excess sugar, and transfer the cookies to a wire rack to finish cooling. i love lime. these look delightful! 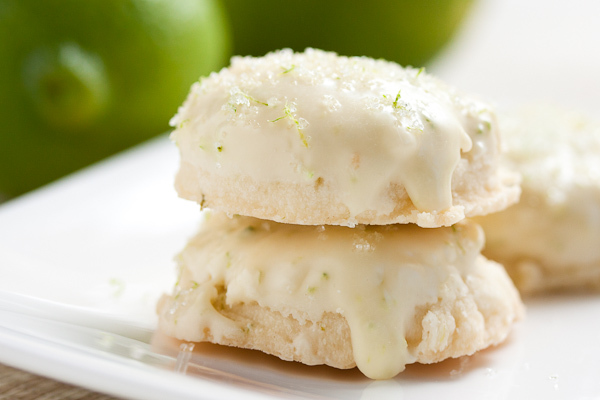 These lime cookies look delicious! I love lime too, I add it to everyhting. Here in Mexico limes are really really cheap. Thanks Azu! Can I say how jealous I am of your cheap limes? I’d be putting them in everything too… So. So. Jealous.